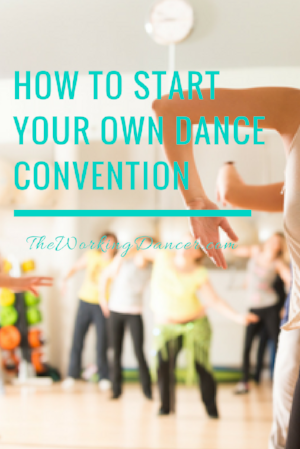 Ever thought about starting your own dance convention? 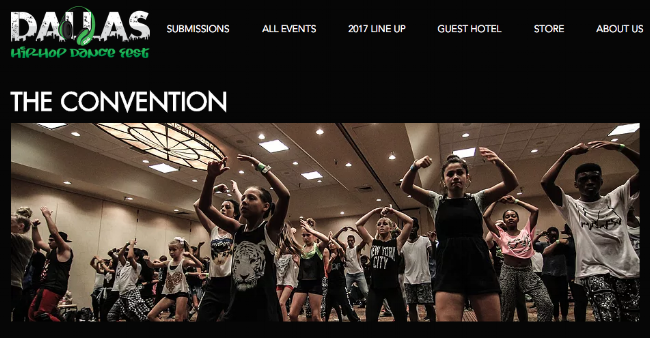 Does the idea of bringing together some of the best choreographers and instructors to serve your local dance community sound appealing? So you have the inspiration. Now what? Producing a successful dance convention takes just as much gusto as any other business venture. There are instructors, venue, vendors, structure, and so many other moving parts to consider. If you're entertaining the idea of creating the next big convention, check out these tips from Geena Ngaaje, choreographer, movement coach, and creator/executive producer of Dallas Hip-Hop Dance Festival. Start with a strong purpose or 'why? ': Having a strong purpose will carry you through the difficult seasons. Research your market: Ask around to make sure there's actually a need for your convention before you start making plans. Create a budget: Get an idea for how much instructors, venue, and other expenses will be. Build a team: Put the right people in place to help you execute your vision. Build relationships: Word of mouth and relationships can be the most effective form of promotion for your convention. Set deadlines: Ensure you don't get stuck in the planning stages by enforcing deadlines for yourself and your team. Get a mentor: Find someone in the convention space that you can learn from. Listen to the interview below with Geena to discover which mistakes to avoid, the challenges she experienced when creating her convention, and her biggest tips. Geena has over 20 years of dance training and experience, and has been dancing professionally for the past 13 years. She is the founder and creative director of the Dallas Hip-Hop Dance Festival, owner and master choreographer of Hip Hop Heels, and artistic director of Alter'd Ego. She also produces and stage directs the Face of Africa USA pageants, and is the choreographer for the Sideline Dolls. Geena and her endeavors have been featured on Fit Trip with Kimberly Westphall, Good Morning Texas, Fox 4 Good Day, The Dallas Morning News, The Dallas Examiner, WFAA Daybeak, and Al Extremo. Some of her dance and choreography credits include Black Eyed Peas/Super Bowl XLV, Alter’d Ego, CNN Fit Nation, Dallas Stars Ice Girls, Texas Legends Dancers, The Sideline, Group Chinatown Band and recording artist Torsha Lynn. Geena enjoys teaching and inspiring dancers of all ages to not only dance but live to fulfill their dreams! For more info, visit www.GeenaOnline.com. Want access to more dance career or business insight like this? Then click the button below to join the movement, and you'll get weekly tips, inspiration, freebies, and specials sent directly to your inbox.